But we must warn you. A key copy, from a copy, from a copy, of the original may work a bit rough. But some powdered graphite might help that. And to avoid a common mistake make sure we are copying the correct key for the lock you want to use. No matter how perfect the copy if the key goes to the side door and you are using it in the front door it might not work! In addition to the Keys and Key Accessories you need, with over twenty-five years of experience, Woodstock Hardware can provide you the technical expertise required to help you successfully complete your next project. 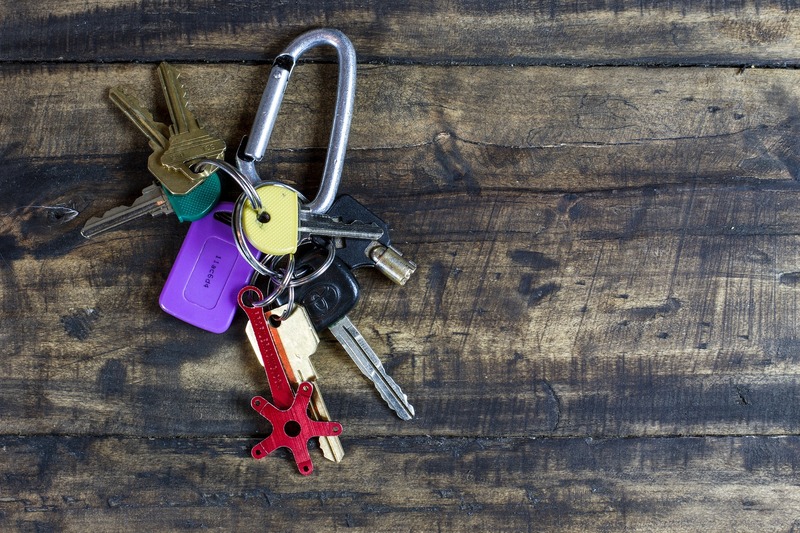 Here are a few tips for making sure your home’s door locks are working properly. Make sure your door is properly hung. A lock only functions correctly if the door is properly installed and correctly prepared for the lock. 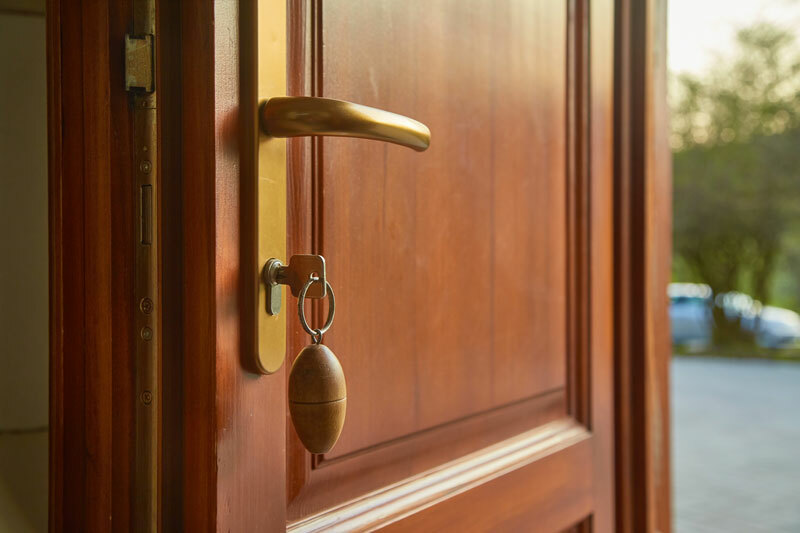 A door that sags or binds may place an incredible amount of pressure on the lock’s latch or bolt, leading to a failure that can leave you locked in or out of your house. Check your door’s screws and strike plates. At least one screw securing the top hinge to the doorframe should be long enough to connect the door to the wall framing around the door. To prevent sagging and increase break-in resistance, homeowners should add a longer screw to each hinge. The hinge screws are staggered, but the long screws should be located near the center of the wall. 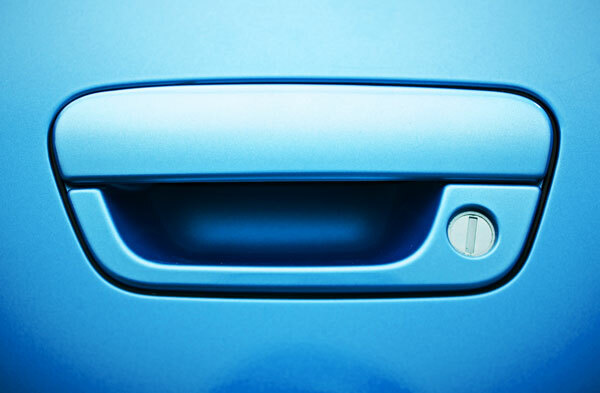 Clean your door locks without overdoing it. There is not much required here. Simply use a mild detergent to clean your door locks. You actually do more harm than good by using an abrasive or chemical cleaner on a lock. Petroleum-based products can also damage a lock’s finish. Lubricate door locks annually. One of the most important, and most overlooked, maintenance factors is lubricating locks. Do not use petroleum-based products. Graphite lubricants work well, but Teflon and other dry lubricants are generally the best and easiest to apply. Simply spray a small amount of lubricant into the keyway. Then run the key in and out of the lock repeatedly, wiping any debris from the key each time. Lubricate your locks like this at least once a year. Always make copies from an original key. Not a copy. When installing a new lock, it’s a good idea to set aside one of the original keys to use when creating duplicates. So how do we suggest you fix that? Well, we spotted this great solution years back and have been happy to pass it along. Use an empty pill bottle and a real rock. Place your spare key inside the bottle and tighten the lid. Next, glue the lid of the pill bottle to the rock and let it dry. After the glue dries find a convenient place in your yard, dig a hole as big as the pill bottle and put your “real hide a key rock” where ever you want in your yard. So, the next time you need a copy of that house key, or maybe the lock on the back shed, or even a spare car key, Woodstock Hardware has the products and supplies you need.